When you include Don Bosco Prep in your will, or make the school a beneficiary of your estate, you can partner with us in the education and evangelization of young men through a gift that will only take effect after your other obligations have ceased. Planned gifts of all sizes combine to maximize the impact on the success of our school and community. Below are several ways that you can make a gift that not only helps Don Bosco but could help you, your estate, and your heirs. Let us help you make the gift that's right for you. Begin a confidential, no-obligation conversation to start this journey with us. The Saint John Bosco Legacy Society honors those who have made a special commitment, through a planned gift, to the advancement of Don Bosco Prep. John "Rich" Murray feels like he owes something to Don Bosco Prep. When he was just a freshman, his father left the family and his mother had to find work. She could no longer afford his tuition, and all of the household expenses. Somehow, and he still doesn't know how, his mother was never asked to pay the tuition bill, and he went on to graduate from the Prep. The bills could have been paid by a Good Samaritan, or forgiven by the Salesians, but he feels that he wants to pay back the school. "My dad and my uncle owned gas stations. My uncle Ray Murray was the baseball coach at DBP, until he passed away in 1960 before the season started. My three cousins Ray Murray in 1957, Terry Murray in 1963 (who became General Terrence Murray, USMC) and Steve Murray in 1960, also graduated from the Prep," he said. Rich said that it had never occurred to him to attend college before attending the Prep. But he said that when he got here, he realized that he could excel at his school work. "DBP helped me think about going to college after high school. Everyone at the Prep was talking about going on to college, and I began to think about it, too," he said. While at the Prep, Richard was a member of the basketball team, cross country, and ran spring track. After graduation, he enlisted in the United States Air Force, and when he received his honorable discharge in March 1965, he enrolled at St. Peters College in Jersey City on the GI Bill. He earned a Bachelor's Degree in History and Education in 1969, and started work with New Jersey Bell soon thereafter. Richard enjoyed a 35-year career in the Bell system, ultimately at Bell Atlantic and Verizon in Operations and Engineering. It was there within the Bell System that he met his lovely wife, Lorraine, at Verizon where she also was employed. He retired in 2003 as Director of Central Office Engineering. Rich has fond memories of Don Bosco Prep. He recalled members of the faculty including Br. Stephen Reilly, Br. Joe Bedmar, Br. Donald Zakorski, Fr. Al Sokol, Fr. Ed Mazurek, Mr. Joe Hughes, and Mr. Vince Herold. He recalled also that the track coach, Mr. Steven Moldovanyi, had been a member of the Hungarian Olympic Team of 1956- 57, and had defected to the United States. So what does he wish his gift to do? "If there's one kid that can't stay, use it to help him stay here. Educational options like this are important. It's not cheap to attend this school, but it's a better investment to have this college prep education." "I feel like I owe the school for the four years I went here. I'm paying it back, and paying it forward!" George Schaeffer will always remember the long bus trips from Tappan, NY, to Don Bosco. It was a circuitous route that took an hour each way, every day. Tedious, boring, but worth the trip because he loved his years at Don Bosco Prep. His appreciation remains strong, 53 years after graduating from Don Bosco in 1960, because of the education, friendships and good memories he gained. He and his wife recently included Don Bosco Prep in their estate planning, with a $50,000 bequest intention for scholarships to assist future Don Bosco students who are in financial need and have an academic commitment. "As the years went by we started thinking more and more about what was important to us. We wanted to pay something back and assist future generations." 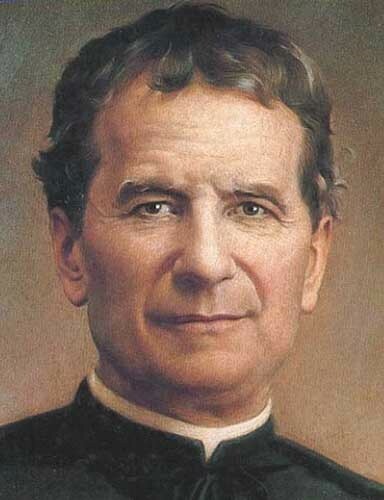 Don Bosco is one of George's great loves, along with skiing, the ocean, rescue dogs, and most of all his wife of 40 years, Rose-Ann. They met on vacation at the Jersey Shore, and spent 25 years in New Jersey, where George worked for Prentice Hall Publishing and attended evening classes at Fairleigh Dickenson University. Wishing to be closer to family members and to their recreational passion-skiing-they moved to Massachusetts where George began a second career in real estate-sales, mortgage origination, and appraising. "This career allowed me to ski three or four times a week; it was heaven." He and Rose-Ann enjoyed the winters skiing and the summers on Martha's Vineyard. They also made an occasional Jersey Shore trip, but not since Hurricane Sandy. They were very concerned about Sandy's devastation, glad that the Shore is coming back, and happy that Don Bosco had no serious damage. In 2011 they moved to Hilton Head Island, South Carolina, allowing them to enjoy the ocean and a dog-friendly environment every day. They still get their skiing in, too, with a month in Vermont and New Hampshire planned for this coming winter. Rose-Ann retired from Harris Corporation, formerly Tyco Electronics, where she administered the scholarship program for one of the company's divisions. This experience helped germinate the idea of scholarships for Don Bosco. "We are so glad to assist future students this way. We've made smaller contributions to Don Bosco over the years, but this is an affordable way to make a big impact." They are also pleased to become charter members of the St. John Bosco Legacy Society. "We didn't know it existed, but we're happy to be included. We hope other alumni and friends of Don Bosco Prep will do the same." Naming Don Bosco Prep as the beneficiary of a qualified retirement plan asset such as a 401(k), 403(b), IRA, Keogh, profit-sharing pension plan or other donor-advised funds, will accomplish a charitable goal while realizing significant tax savings. You can turn underperforming assets (stock, cash in a savings account, CDs, savings bonds, etc.) into a gift to Don Bosco Prep that provides income to you. Your Charitable Gift Annuity will give you quarterly, fixed payments for life and tax benefits, too. If you're 70 1/2 or older, you can make a gift directly from your IRA to Don Bosco Prep. While there is no charitable deduction for a rollover gift, you do avoid the income tax on the donated portion of your required minimum distribution. There are many giving options available to you, such as naming Don Bosco Prep as a beneficiary in your will and charitable gift annuities that provide steady income for you and your family during your lifetime. For more information, please find our contact info below, or submit this form. I would like to learn more about supporting Don Bosco Prep with a planned gift. I have already included Don Bosco Prep in my estate plans. I havent made plans for Don Bosco Prep in my estate, but its on my to-do list. Edward R. Koller Jr. has been a longtime supportive of Joslin and has even made it a part of his estate plan. Edward R. Koller Jr. has been donating to and raising money for Joslin for three decades. His generosity is ongoing and forever-a planned gift is part of his estate. Edward's son, Eddie, became diabetic 35 years ago at age 3, and Edward and wife Terri, who has since passed away, sought the best care. At Joslin, they learned enough to "basically get a bachelor's degree in diabetes care," Edward says. Enthralled with Joslin, the couple donated money to build a teaching room. At age 8, Eddie attended a Joslin camp, and again his parents were impressed. Edward created the Edward R. Koller Sr. Memorial Campership Fund, named after his father, to help others attend. Recently, Edward has given money for scholarships to Diabetes Outpatient Intensive Treatment (DO IT) classes. "When you're really lucky like me, and you can help someone who is not quite as lucky, and you see how it actually does change a person's life, that's what makes you feel good," says Edward, who is founder and managing partner of Koller Search Partners. "I think what's important here is that it puts you sort of up on cloud nine." Edward married Gina Salerno in May. In lieu of wedding gifts, the couple suggested donating to the DO IT fund-a typical request from Edward. "Every time I had a party, every time I had an event, every time people said they wanted to buy me something, I said, â€˜if you'd really like to do something, I'd appreciate it if you could make a donation to Joslin,'" Edward says. Edward says he added Joslin to his will when thinking about what he wanted his legacy to be. "To me, the work at Joslin-especially the work they do with the eyes-is very heartwarming," he says. Consider making a gift in your estate plan to benefit Joslin. Call the Joslin Development Office at (617) 309-2412 or email philanthropy@joslin.harvard.edu to learn about your giving options. Tom Beatson's passion for research fuels his estate gift to Don Bosco Prep. It's no coincidence that Tom Beatson doggedly pursued personal milestones in type 1 diabetes care and cycling. They were his two passions. "Being an engineer, I kept track of my mileage on every ride," Tom said. "When my accumulation got close to 100,000 miles, I made a big thing of it." Similarly, he celebrated significant anniversaries of living with type I diabetes. Tom remembered the day he became sick-Dec. 7, 1942, at age 10. His first direct contact with Joslin came almost 50 years later when he learned of the 50-Year Medalist Program. Tom ran into some difficulty obtaining the medal-his hospital records no longer existed-but ultimately qualified through a letter from his sister corroborating his diagnosis. Tom was gearing up for his 75-year recognition on Dec. 9, 2017-two days after the actual anniversary-when he passed away in summer 2016. He had opted to celebrate the milestone on a Saturday because he said it was "more appropriate for a party." Following receipt of the 50-year medal, Tom chose to become a Joslin patient. He had a huge impact on Joslin through multiple major gifts and a charitable remainder unitrust set up in 1995. He made his first six-figure gift in 2004 and donated millions in the years following. "Joslin seemed like the right place for what I wanted to do-a lot of research, particularly type 1 research, and an excellent reputation," Tom said. The trust provided Tom with immediate tax benefits and income during his lifetime and gave Joslin roughly $1.5 million upon his passing. For Tom, his gifts targeted another milestone: "They're just steps on the way to a cure." Tom Beatson passed away on July 25, 2016. He provided unparalleled support for Don Bosco Prep during his life and through his legacy giving. Don Bosco Prep is most grateful to Mr. Beatson for his passionate commitment to the fight against diabetes and his remarkable philanthropy over the past 27 years and into the future. If you would like to extend your support of Don Bosco Prep to make a lasting impact, contact philanthropy@joslin.harvard.edu or 617-309-2412. If you are working with a professional advisor or advising a donor, here's a useful guide for including the Don Bosco Prep in a charitable estate plan. © Don Bosco Prep and Planned Giving Marketing.